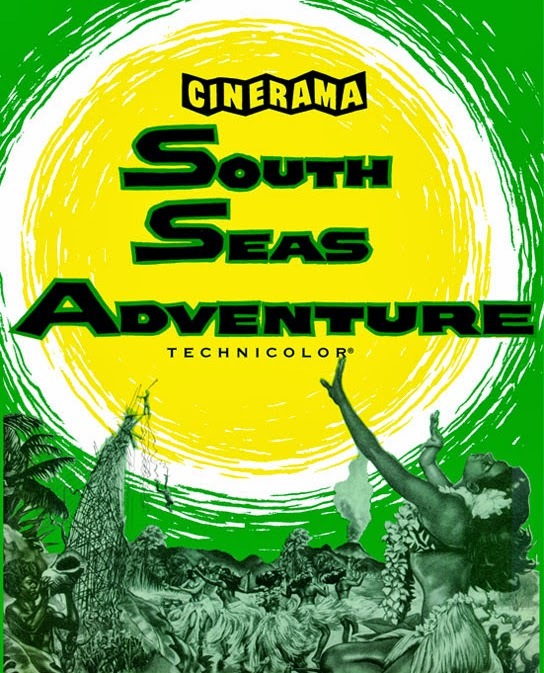 Last of the Cinerama travelogues is a trip to the South Seas. We get a trip to Hawaii, various islands, Australia and New Zealand. in a film that's full of great visuals but low on excitement. Is it a bad film, no, its actually quite good, it's just low on the excitement scale. I should point out that the film's DVD/Blu-ray release is amazing. Not only do you get the film with commentary (if you so desire) but you get a great half hour interview with Saul Cooper who was a publicity man for the film who talks about the film and the Cinerama process, a 20 minute making of from the period and the real jewel of the DVD a six minute Cinerama commercial for the Renault Dauphine. The Renault piece really knocked my socks of as we see how a car is put together. It made me wonder what Ron Fricke or Godfrey Reggio would have done with the process.